When fall arrives, some people dust off their lederhosen and prepare for Oktoberfest. Yet when zombies arise, this festival will become a feast for new zombies, all wearing something like the Mens OktoberFEAST Plus Size Costume! 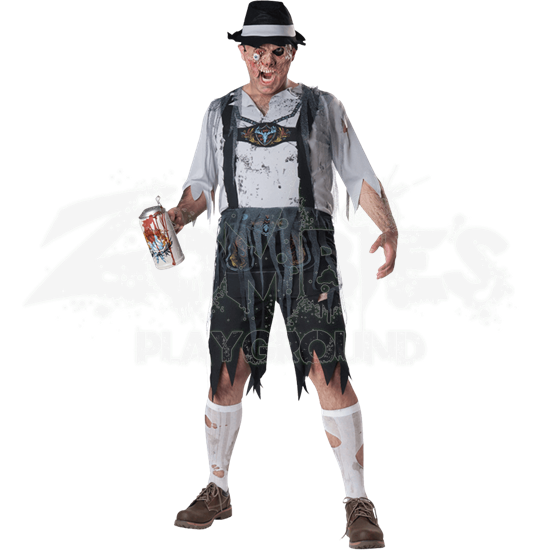 Based loosely on the traditional lederhosen of Oktoberfest, this costume echoes the look of the famous festival with a distinctive undead style that will make even the most ghoulish of zombie-lovers happy. The costume consists of printed lederhosen with tattered hems and detachable mesh dags, as well as a printed shirt with suspender detailing and an attached mesh scarf. These mesh dags help to enhance the ghoulish look, while the included hat and vinyl mask, depicting an eye-popping zombie face, give this costume its final touches. If you happen to have a female partner in crime, you can look the matched pair with the Zombie-Fest Beer Maiden Womens Costume (Item IN-11059)! 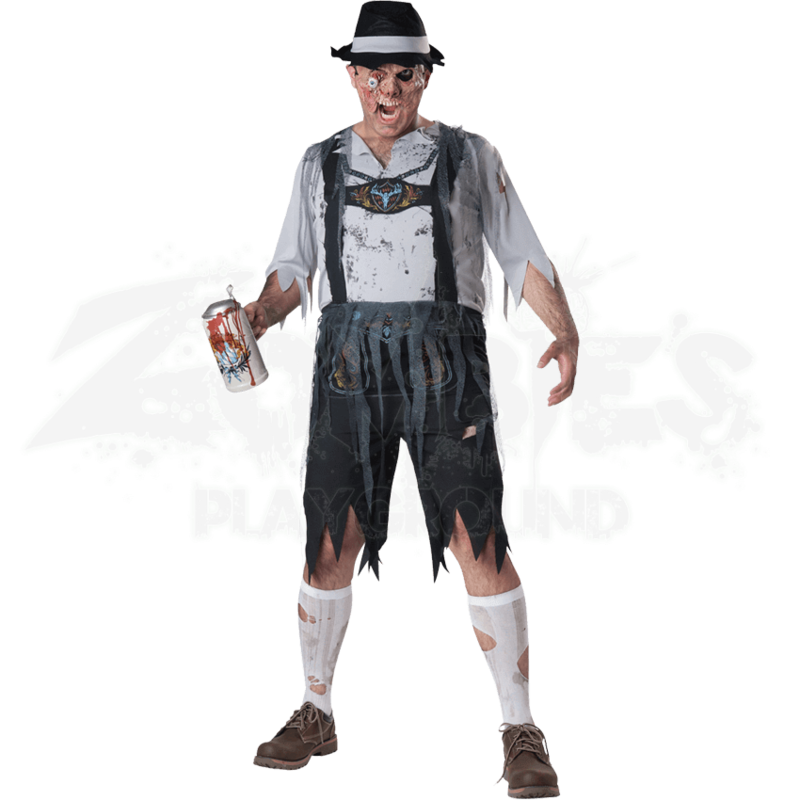 Eccentric, intriguing, and even a bit cultural, this Mens OktoberFEAST Plus Size Costume is a great way to bring some fun to your zombie look, as well as a great way to celebrate your favorite festival in your own ghoulish way!